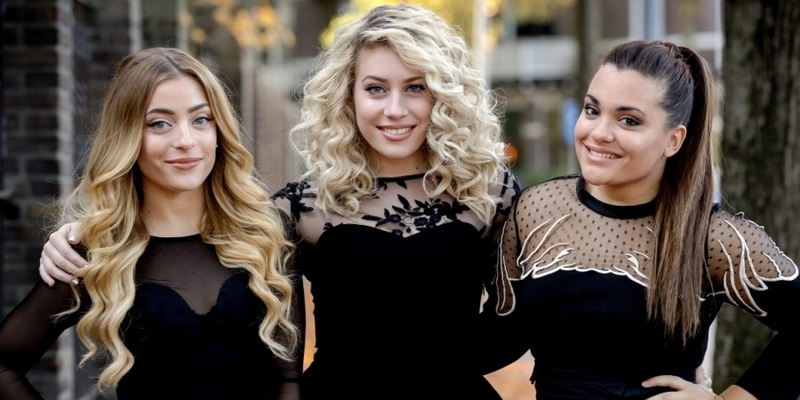 Back in October, the Dutch broadcaster AVROTROS, had revealed that OG3NE would represent the Netherlands at the Eurovision Song Contest 2017 in Kyiv. Today the song "Lights And Shadows", has been released. Eurovision 2017 Netherlands: OG3NE - "Lights And Shadows"
The song is written and composed by Rory de Kievit and Rick Vol. Rick Vol is the father of the three sisters. He has written the song "Magic" for the final of The Voice of Holland (2014) and is responsible for a couple of songs on OG3NE's debut album "We got this". OG3NE is a Dutch girl band consisting of the three sisters Lisa, Amy, and Shelley Vol (Amy and Shelley are twins). The O stands for their mother's blood type and G3NE stands for the gene they share since they are sisters. They represented Netherlands at Junior Eurovision Song Contest 2007 with the song "Adem In, Adem Uit". In 2014 they won the fifth season of The Voice of Holland, and became the first trio in the world to win The Voice. Related storyNetherlands: Duncan Laurence to Eurovision 2019 with "Arcade"
Eurovision 1969 Netherlands: Lenny Kuhr - "De Troubadour"
1957: Corry Brokken - "Net Als Toen"
1959: Teddy Scholten - "Een Beetje"
1969: Lenny Kuhr - "De Troubadour"
Since 1975 the best result for Netherlands was in 2014, when The Common Linnets ended second with the song " Calm After The Storm". They ended last in the contest 5 times: 1958, 1962, 1963, 1968 and 2011. Since the introductions of Semi-finals in 2004, they only qualified for the Grand Final 4 out of 13 times. Anastasia is our Eurovision writer in the Netherlands. Since she was 10 she has been a fan of Eurovision. Best songs are Euphoria by Loreen and Calm after the storm by The Common Linnets.